From credentials to bids, what’s the best way to choose a home improvement contractor in Durham and throughout the Triangle? 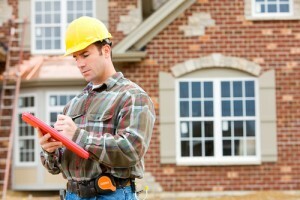 Learn from our tips on how to select the right contractor for your home and project. Know friends, family or co-workers that had similar home improvements done? Ask them for their recommendations, and keep a list of their answers. 2. Ask plenty of questions. Brainstorm a list of questions for potential contractors, such as size of the projects they take on and previous clients. Call the companies on your list and go through your questions. Narrow down your list if they don’t meet all your requirements. 3. Check the facts, and call their references. As your list gets shorter and shorter, call previous clients of your potential contractors as references, and keep notes of their comments. Also, verify that your potential Durham home improvement contractor is appropriately licensed for your project. It’s important to meet face-to-face before you sign with a contractor. Since you’ll be working closely with them for possibly months, it’s important that you get along and can communicate clearly with each other. If your home improvement projects are extensive, consider scheduling a site visit with the contractor. 5. Get bids, and make your decision. Get bids from each contractor, and compare prices. Now that you’ve asked all your questions and met face-to-face, you have a reasonable idea of what you’re getting for the price. Decide on a contractor and start improving your home! Gerald Jones Company offers everything you could want in a home improvement contractor: competitive prices, more than 50 years of experience, and helpful, professional contractors. As we’re local Durham, NC contractors, we know the area and are familiar with common home improvement needs. Read our testimonials and learn just what our clients have to say about our services for doors, windows, screened porches and more. Contact Gerald Jones Company today to ask us your questions and to find out why we’re your ideal home improvement contractor in Durham, Raleigh and surrounding areas. This entry was written by geraldjones, posted on September 15, 2014 at 8:50 am, filed under Uncategorized and tagged home improvement contractor. Bookmark the permalink. Follow any comments here with the RSS feed for this post. Both comments and trackbacks are currently closed.